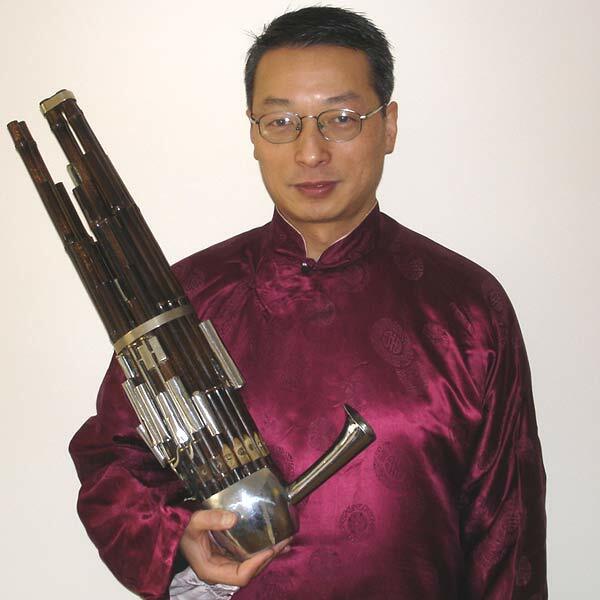 Wang Zheng-Ting, graduated from Shanghai Music Conservatory and completed a MA in Ethnomusicology at Monash University and a PhD in Ethnomusicology at the University of Melbourne. He co-ordinated Chinese Instrumental Music course at the University of Melbourne and has been invited as a visiting scholar to the City University of New York, guest Professor at Xiamen University, Research Fellow at the Sichuan Conservatory of music. He is also the director of the Australian Chinese Music Ensemble. He is a 2014, 2015 Melbourne Festival Ambassador. As a lecture and solo performer on the Sheng, he has performed many recitals across the world including: New York’s Lincoln Center; Melbourne Recital Centre; Schweizeriusche Musikforschende Gesellschaft, Ortsgruppe, Zurich; the Victoria University in Wellington; Hoch Schule Fur Music Koln, in Wuppertal, Germany; Mahasarakham University; and Thailand. He has also performed with the following ensembles: the Venice Chamber Orchestra; the New Zealand String Quartet in Wellington; a Sheng Concerto Princess Wencheng with the Macalester College Wind Symphony in the USA; the Japanese Stringraphy Ensemble in Tokyo; the Australian Air Force Wind Symphony; on Shanghai Oriental Radio Station; and the Christine Sullivan and Zydeco Jump at the Shanghai International Spring Festival.